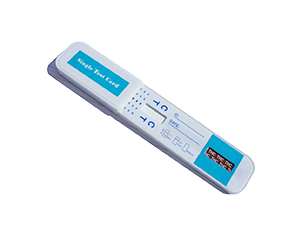 Urine drug testing is the most common way to test for drugs. However there are a number of different drug testing methods available and sometimes the hair, saliva or perspiration may be drug tested. To understand the principles behind drug testing technology, some knowledge is required about the way in which the body deals with chemical compounds such as drugs. Irrespective of the method of intake, all drugs, pharmaceutical and otherwise, undergo a series of bio-chemical reactions in the body. These reactions release the active compound and then gradually degrade the drug into slightly different structures. These structures, also called metabolites, are then excreted from the body in a variety of ways. Urine is the main excretory route for drugs and their metabolites. The following is a summary of the analytical methods used by laboratories to detect the presence of drugs or their metabolites in urine. These tests are most commonly used to screen samples. In the event that drugs or their metabolites are detected, then the sample is normally tested again using an even more sensitive test such as Gas Chromatography and Mass Spectometry. Immunoassays work on the principle of antigen-antibody interaction. Antibodies are chosen which will bind selectively to drugs or their metabolites. The binding is then detected using either enzymes, radioisotopes or fluorescent compounds. RIA (Radio Immunoassay) is manufactured by Roche Diagnostics. It is similar to EMIT but uses a radioactive isotope such as iodine instead of an enzyme. However, because it involves using radioactive substances, it is less popular than EMIT. This is a highly sensitive form of testing mainly used by the military. FPI (Fluorescence Polarization Immunoassay) is manufactured by Abbott Laboratories. Fluorescent compounds mark the selective binding of antibodies to drugs and their metabolites. It is highly sensitive and highly specific. This procedure involves the addition of a solvent to the sample causing the drugs and their metabolites to travel up a porous strip leaving colour spots behind. As each different substance travels a specific distance, the strip can then be compared with known standards. This test gives no quantitive information, it merely indicates the presence of drugs or their metabolites. Furthermore, it relies on the subjective judgement of a technician and requires considerable skill and training. It is not widely used. These are the most precise tests for identifying and quantifying drugs or their metabolites in the urine. They are usually used as a confirmation test following a positive result on an Immunoassay. It involves a two step process, whereby Gas Chromatography separates the sample into its constituent parts and Mass Spectometry identifies the exact molecular structure of the compounds. The combination of Gas Chromatography and Mass Spectometry is considered to be the definitive method of establishing the presence of drugs or their metabolites in the urine. However, the equipment necessary to perform it is extremely expensive and this is reflected in the price for testing each sample. Occasionally problems do arise with poor calibration of the equipment. DOT stands for The Department of Transportation. If you live and work in the US or are applying for a job there, you might need to consider this type of personally invasive testing proceedure. If not, then don’t worry about it. There is no equivalent in the UK. The technology behind the hair test was pioneered by Psychemedics Corporation. When drug metabolites are circulated in the blood, they enter the scalp’s blood vessels and are filtered through the hair. These metabolites remain in the hair and provide a permanent record of drug use. About 50 strands of hair are taken and dissolved in a series of solvents. The laboratory then analyzes the liquified sample using Gas Chromatography and Mass Spectometry. This makes it a highly sensitive test, yet the considerable cost and prolonged process means that it isn’t often used. It also usually requires a confirmation drug test using urine. In our experience, this test is usually limited to child custody cases. PharmaChem have produced a patch which is worn on the skin for a period of time. The patch contains a mechanism which is able to detect the presence of drugs or their metabolites as they are excreted in the individual’s perspiration. The patch is used mainly to monitor people on probation. Epitope have recently developed a test which detects drugs or their metabolites in saliva. However, this sort of test is limited to detecting very recent drug use. In one study, saliva testing was only able to detect cannabinoids 4-10 hours after the subjects had been smoking. 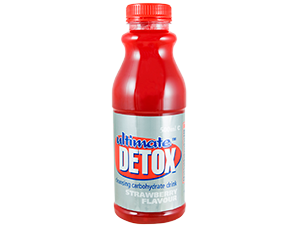 It is likely that this test will be confined to detecting current intoxication only. Although expensive and intrusive, blood testing is the most accurate confirmation of drug use. 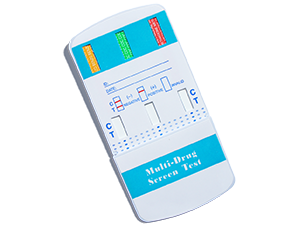 Since blood testing accurately detects the presence of the drug or its metabolites at the time of testing, the results from this type of test are the best indication of current intoxication. Blood testing for the use of drugs is primarily used in accident investigations or for health/life insurance medicals. Cannabinoids can be detected up to six hours after consumption by testing blood; after that, the metabolite concentration falls rapidly, and cannabinoids are not detectable in the blood after 22 hours.